We built PulseStar to be tough, with an all-metal body. Unlike most touch memory button readers on the market, PulseStar does not beep. It is a vibrating iButton reader. This is ideal for noisy environments, such as a factory shop. The vibrating feedback indicates a button read, while a beep may not be heard. Also, quiet environments like museums or libraries will appreciate the vibrating feature. Additionally, because there is no speaker hole, the PulseStar is water resistant. The replaceable CR3 lithium battery provides long life and is readily available. The PulseStar communicates with the management software through a base station connected to a serial port. The PulseStar software provides simple, straightforward sorting and filtering of data including the reader ID, iButton ID, date, and time. Users can filter on any field to easily drill down to who went where and when. Videx works with a network of Independent Software Vendors (ISVs) that have created a variety of data collection applications for the PulseStar. 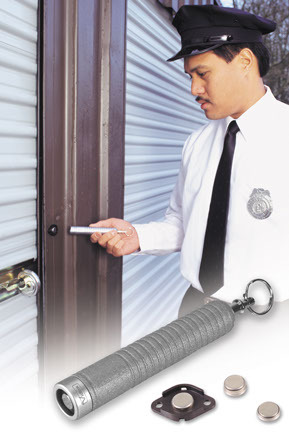 They include guard tour logging, maintenance checks, payroll, and delivery or pickup verification. In addition, our ISV network welcomes the challenge of building new software applications for your unique business cases.